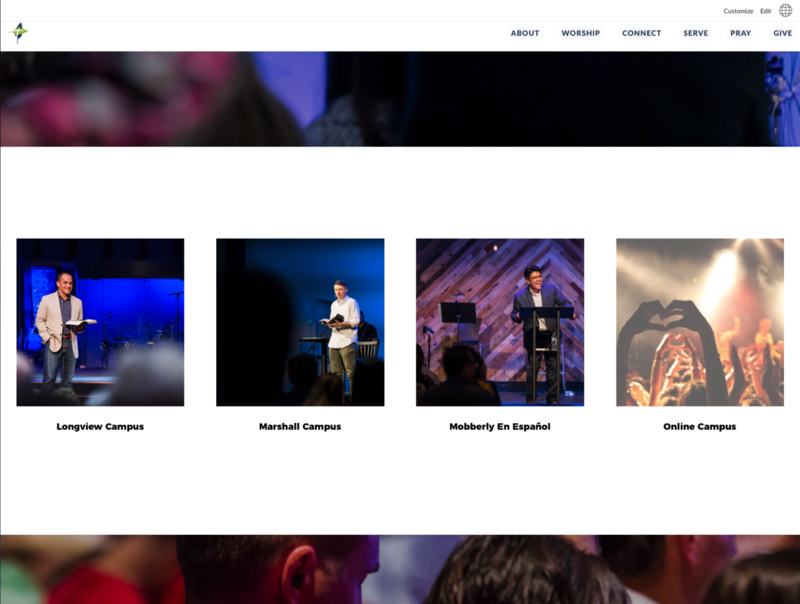 Longview, TX – On Sept. 18, 2018, Mobberly Baptist Church launched a newly redesigned website located at mobberly.org. The new site has been redesigned from the ground up to better meet the needs of those who are new to the church, or who are looking for information about church events and Worship Gatherings. “Our old website was great when it was built several years ago. But since then technology has advanced and our church has changed, ” Mobberly’s Director of Communications, Scott Link, said. Mobberly’s Communications team studied analytics about how the old site was used. They found that aside from streaming video of the Sunday services, there were two primary groups of people using the site: people new to Mobberly looking for information about church beliefs and staff, and attendees of Mobberly looking for information about events, prayer and online giving. The old site was built before Mobberly added multiple campuses and venues. It was important to make the new site mobile friendly and simple since 65% of visitors were using phones or tablets. The new site design puts the information visitors are looking for front and center. New campus pages showcase location-specific information, and guests can quickly find out about Mobberly’s staff, beliefs and history. The new website launches today.